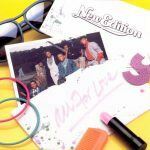 Song of the Day - New Edition "With You All the Way"
Still in the promotion of All For Love and the departure of Bobby Brown, New Edition had to continue as a quartet. 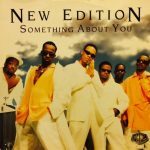 With hits like Count Me Out and A Little Bit of Love, With You All the Way was a great ballad that was also successful on the charts and furthered their popularity and brand. Here is a live performance of this wonderful and incredibly solid song written by Carl Wurtz and later heard on projects like Jetsons: The Movie in 1990.